Today is the disappearance day of Srila Bhaktisiddhanta Saraswati Prabhupada. We would like to speak very briefly in glorification of this most worship-able spiritual master. We all hold his lotus feet so close to our hearts by aspiring to become the servant of the servant of his servants. 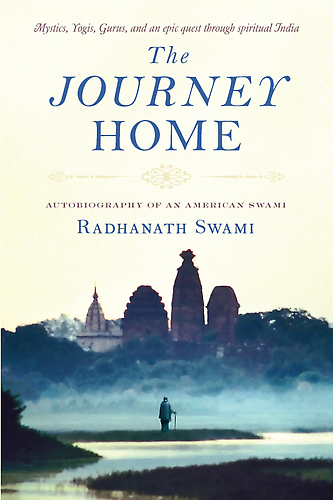 When he was hardly 6 months old – his house was right on the road where the Jagannath Ratha Yatra takes place – the Ratha Yatra was coming and Jagannath’s cart stopped right in front of his house. No one could move it, however long they tried to pull and pull. In fact, it was there for several days. So the wife of Bhaktivinod, Srimati Bhagwati Devi, she decided, ‘Let me take my child out for the darshan of the Lord.’ And the pujaris allowed her to climb the ladder to the top of the cart, and she set the child just in front of the beautiful deity of Jagannath Deva. The child reached out and took the dust of the feet of Jagannath upon his head, and just at that very moment a garland fell off Jagannath and encircled the beautiful child. Everyone began to call out, “Haribol”. Srila Bhaktivinod Thakur heard this; it was confirmed that this child was the fulfillment of his prayers to the Supreme Personality of Godhead. He was named Bimala Prasad, which is a very special name. For those of you who have gone into the Jagannath temple, within the temple there is a deity of Bimala Devi. Bimala is the pleasure potency of the Lord and whatever bhoga is offered to Jagannath – that is the standard – that bhoga is first given and offered to Bimala Devi and then that is distributed to the public. So in order to get Jagannath’s Prasad, you have to get it from Bimala Devi. So Bhaktivinod named this child Bimala Prasad. If you want Jagannath’s prasad, you have to get it from Srila Bhaktisiddhanta Saraswati Thakur. Gaur Premanandi – Hari, Hari bol. When he was 7 years old he had memorized every sloka of Bhagavad Gita. Not only that, he could give elaborate commentary. Not only that, he could totally defeat any opinion that was averse to the pure principles of the teachings of Bhagvad Gita. He was such a brilliant student! He was going to school, but he would never read any books except those by his father and Narottam Das Thakur. He just wasn’t interested in other books. But still he was always top in his class, and he had first class highest grades in his exams and all of his learning. He was so brilliant, he would hear something once, he would never forget. In this way he was always absorbed in rapt attention in wanting to hear from his father. Such a small child… you children, you could learn from his example. When he was 7 years old, 8 years old, 9 years old, or 10 years old, when Bhaktivinod was speaking or any other great acarya was speaking at Bhaktivinod’s house, this little boy would sit in complete absorption, rapt attention, absorbing and learning everything and never to forget. He was so determined, he was so sincere, he was so impressive upon everybody. When he was 13 years old, his father gave him a tulasi japa mala that he had received from Jagannath Puri and he gave him the Hare Krishna Maha Mantra – Hare Krishna Hare Krishna Krishna Krishna Hare Hare, Hare Rama Hare Rama Rama Rama Hare Hare. And he also gave him a Narasimha Mantra. When he was 16 he was going to school, the most brilliant student, absorbed in studying Bhaktivinod’s books. He started the organization called ‘The August Assembly’. ‘The August Assembly’ was just friends, but to join it the only thing you were allowed to talk about was bhakti and spirituality, and you couldn’t join it unless you took a lifelong vow of celibacy. So many of his friends were impressed, but he was the only one that fulfilled the vow. It is explained that Bhaktisiddhanta Saraswati was given a scholarship in the Sanskrit College of Calcutta and there he was such a brilliant student. He was brilliant in mathematics; he was considered the greatest of astrologers; he was a great learned scholar of Sanskrit, Philosophy. In fact, while he was at that college, he read every book in philosophy and religion in the entire library and had every one of them memorized. He was becoming very well known, and they even offered him – when he was very young – the seat of being a Professor in the college. But he didn’t finish college. Did you know that? He left college and he writes in his Autobiography why he left college. He felt if he had high education with honors, everyone would expect so much of him; it would be natural that somebody with so many educational qualifications should get married, and should have a very responsible post in material society. He understood: if he had high education, he would be highly pressured for marriage and material affairs. But he wanted to give his whole life simply to serving Krishna. He didn’t want to marry; he wanted to become a brahmachari. So therefore he left college and never got a degree. Srila Bhaktisiddhanta Saraswati Thakur ki jai! But it is not that you can imitate him. He was a great soul. But he didn’t want anything or any pressure to in any way impede his service to the Lord. He was not concerned with profit, adoration, distinction, classification. He was only concerned with whatever was best for service. Jagannath Das Babaji who was the spiritual master of his father, he came from Vrindavan to Navadvipa. Jagannath Das Babaji, seeing Srila Bhaktisiddhanta Saraswati, how learned he was and what an incredible professor he was of astrology, he asked him to make the Vaisnava calendar with all of the dates of the previous acharyas – appearance, disappearances – and all of the dates of festivals for the great incarnations of Lord Krishna. The Vaisnava calendar that we follow to this very day, on the order of Jagannath Das Babaji was originally produced by Srila Bhaktisiddhanta Saraswati Thakur. But Bhaktivinod Thakur saw – Shyamananda Goswami was not a Brahmana, but Rasikananda was from the highest Brahmana caste, and he took initiation from him. Ganga Narayana, Ramakrishna, they were of very high class Brahmana family, and they took diksha from Narottam Das Thakur. So there was a big battle going on and this conference was to once and for all settle this dispute. Bhaktivinod Thakur, the most learned and empowered acarya at the time, was asked to speak, and the great vaisnavas were depending on him. The leader of the Radha Raman Temple in Vrindavan, Madhusudhan Goswami, the leader of Shyamananda Goswami Sampradaya in Orissa, they were depending on him. “You must come.” Bhaktivinod was very sick he had high fever, and he could not come. So he was calling out, “Is there not any vaisnava anywhere in the world who can put down these degraded rascals, who are degrading our whole Vedic civilization with their selfish motivations?” Because such people, their being brahmanas was not to elevate the masses in spirituality; it was simply to make money, and they had no good qualities. But they had arranged society – ‘if you perform sins, the only way to atone for the sin is to give them money for them to perform puja.’ They didn’t teach you how to give up sin. They taught you how to pay them when you do. They were being adored, respected and making tons of money. So Bhaktisiddhanta went to Midnapur and at that conference, first the Brahmans began to speak and they were explaining: “Only if you are so fortunate due to previous births of so many pious activities can you be born in a brahmana family. And only such a birth can make you glorious and worthy of the spiritual world. What to speak of teaching others Vedas, no one else should touch Vedas.” Then the vaisnavas asked Bhaktisiddhanta to kindly speak. He went, he took his elevated position and he began to speak. The first half of his lecture was just glorifying Brahmans, and all of his enemies were very happy. They were so satisfied, thinking, ‘He is on our side; he is the leader of them, but he is on our side.’ As he was glorifying the Brahmans, they were becoming more and more and more pleased. Then he began to explain what a Brahmana is. And then their hearts were broken, minds were cracked and he established that a Vaisnava is one who surrenders to Krishna. Lord Chaitanya explained, “Whether you are a sanyasi or a sudra doesn’t matter. If you know the science of Krishna, you can be guru for the whole world.” Everyone has that power, if they just hear the message sincerely, repeat it and live by those principles of being accepted as a Brahmana – and more than a brahmana, being accepted as a pure devotee of the Lord. He explained through so much scriptures and so much evidence that after he finished there was uproar of applause by the innocent people. The Brahmanas were silent, the caste Brahmanas. At the conference he spoke for 2 hours. He invited any challenges, and not a single person could speak a word. At that time the vaisnavas were dancing in ecstasy; the innocent general people were just applauding and just calling out the glories of Srila Bhaktisiddhanta Saraswati, and the caste brahmanas hiding their faces ran from the scene. The people loved him so much. There were 1000s of people there. They all wanted to take the dust from his lotus feet. He would not allow people to touch his feet, but there were guards and police there, and they were thinking that there would be a riot if they didn’t get the dust. They forcibly took his feet and put it in the bucket of water. And then they went out to the crowd and started throwing the water on everyone’s heads and everyone was satisfied. In 1905, Srila Bhaktisiddhanta Saraswati Thakur took a vow to chant 1 billion names of Krishna. The way he decided to do it is, he was going to chant 3 lacs everyday. That means, following in the footsteps of Srila Haridas Thakur, he was chanting minimum of 192 rounds of the Hare Krishna Maha Mantra each day. He was residing at the Yoga Pith, the birth place of Chaitanya Mahaprabhu in Navadvipa, Mayapur, and for 4 continuous years he was chanting like this. Then they were given some land at the place of the house of Chandrasekhar Acarya, which is called Vraja Patana. Then he moved there near the bank of the Ganges and he was living in a little hut. He was also following catur masya at the time: he would sleep on the ground with nothing between him and the ground, no pillow, and he would cook some little rice and dal (Khicadi) everyday with his own hands. He would eat it like a cow. He would put it on the ground with no plate or thali; then he would put his hands behind his back; he would bow down, put his head down to the ground and whatever he could eat before having to take air and sit up, and as soon as he sat up he was finished until the next day. He did this for 9 years, catur masya. Sometimes it was raining during the monsoons in Mayapur. In Bengal there are floods during monsoons. The roof would leak and he would sit with an umbrella in his hut, loudly chanting the holy names – Hare Krishna Hare Krishna Krishna Krishna Hare Hare, Hare Rama Hare Rama Rama Rama Hare Hare. In this way, before Gaur Kishore Das Babaji in a puddle of tears, he decided to end his life. When Gaur Kishore Das Babaji saw the genuine sincerity of his eagerness to surrender to the Lord and to receive his mercy, he told him, “I will give you initiation on this day. You go to the river Saraswati and take your bath and come back.” So he took his bath in the river and on that holy day Srila Gaur Kishore Das Babaji gave him initiation. And throughout his life he never gave another person initiation. One time in Navadvipa people were criticizing the gaudiya vaisnavas, because in their Gayatri they had a gaura-gayatri mantra. For those of who are 2nd initiated, you know the gaura-gayatri mantra; there are 2. They were saying, “This is not authorized.” They did not believe that Lord Chaitanya was the Supreme Personality of Godhead. They accepted him as a great prophet, a great teacher, an empowered sannyasi, but said, “What makes you think he is God?” This was going around, not only in Navadvipa, but even in Vrindavan. In the year of 1914, Srila Bhaktivinod Thakur disappeared from this world at the Bhakti Bhavan in Calcutta. And in the year of 1915, Srila Gaura Kishore Das Babaji disappeared from this world. He was living in Kuliya, which is the modern day Navadvipa. Gaura Kishore Das Babaji was the very living embodiment of renunciation. As you all know, just to keep away from materialistic people bothering him for material benedictions, he would go into places that materialistic would never want to go. You should approach a sadhu with the desire to hear the truth, with a desire to serve, and not with a desire to gain material benedictions or solve your materialistic problems. Sadhus have no patience for these things, but materialistic society, they always want these things. Gaura Kishore Das Babaji would sometimes do his bhajan in the latrine where people would go to pass stool and urine, where nobody would want to go. He was so renounced and so pure, always absorbed and completely immersed in chanting the holy names. He was so transcendentally situated that sometimes he would just eat the mud from the Ganges as his prasad. When he left his body, everyone knew what a great paramhamsa he was! And all the Babajis of Navadvipa, they all wanted to claim his body. They all wanted to make his Samadhi, because they knew that Gaura Kishore Das Babaji is the number one most famous Babaji and paramhamsa in all the land, and whoever has his Samadhi, people will come to see it and they will give money as donations. Bhaktisiddhanta was so bold and he was so grave. He stood before all of them. “No need for investigation. I will take their word.” But they were so fearful, because they all knew they were guilty. And every one of the Babajis, one by one turned their backs and walked away. The police and the people in general were shocked. Then some of the people said, “Gaura Kishore Das Babaji, before he left this world, he asked us that when he died, we should drag his body through the streets of Navadvipa.” Bhaktisiddhanta said, “This is his humility. He is trying to teach us the principle of humility, but my Guru Maharaj, his body is fit to be held by the hands of God himself, not to be dragged through the streets. When Haridas Thakur left this world, Lord Caitanya personally picked up that body and danced in ecstasy with it. This is the caliber of my Guru Maharaj.” So Bhaktisiddhanta Saraswati made a beautiful Samadhi for Gaura Kishore Das Babaji in Kuliya, and 16 years later because of floods and changing of the current of the Ganges, he brought the whole Samadhi to Mayapur, where it is situated today on the banks of Sri Radha Kund at Chandrasekhar Bhavan. Just before Gaura Kishore Das Babaji left his body, he was giving lectures in Kuliya. One very intelligent young man from Calcutta, he came to hear Gaura Kishore Das Babaji speaking. And when he asked him more questions, Gaura Kishore told him, “You should go to Siddhanta Saraswati, because he is my Guru.” Here the guru is calling his disciple guru. This is the humility of Gaura Kishore. So this person, his name later became Kunjabihari Vidyabhushan. He went to hear Bhaktisiddhanta Saraswati Thakur speak and by hearing him, he became completely convinced. He was working in Calcutta and Bhaktisiddhanta told him, “Take leave and be with me for some time, for some months.” So the day he got his leave, he arrived in Kuliya, and it was the day that Gaura Kishore left. He witnessed all of this. So he was telling Bhaktisiddhanta Saraswati, “You should leave Mayapur. You should preach to the world; the world needs your message.” And this echoed the words of Gaura Kishore Das Babaji in Bhaktisiddhanta Saraswati’s heart. When he took initiation from Gaura Kishore Das Babaji and throughout their relationship, Gaura Kishore said, “You should preach the absolute truth of Lord Caitanya’s teachings everywhere and you should have no other business and no other disturbance in this.” And it was Bhaktivinod Thakur’s dream that the message of Lord Chaitanya be spread throughout the world. But after Bhaktivinod and Gaura Kishore left this world, Bhaktisiddhanta was plunged in such an ocean of transcendental ecstatic separation, he didn’t feel he had any power to preach. And besides that, he had no money. He had no contacts. He had nothing. How was he going to preach? It was in 1922. Abhay Charan, who later became known as A.C. Bhaktivedanta Swami Prabhupada, one of his friends named Narendra, he invited him. “Please come to see one very good sanyasi that I have met.” Srila Prabhupada explained that ever since he was a little child, he was always the leader of all of his group of friends. If any of his friends were going to accept something as good it had to be endorsed and authorized by Abhay. He said, “Please, come and meet this good sadhu.” And our Srila Prabhupada, he said, “I have seen so many sadhus.” When he was a little boy, his father Gaur Mohan De would feed no less than 5 sadhus everyday. And many of them were smoking chillum. 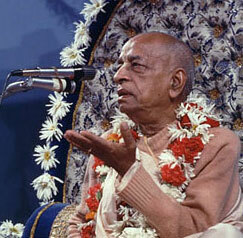 Prabhupada said that when he was young he would see people just living the most degraded lives. From his window where he lived, he would sometimes see: in the morning they would leave their wife or their children or some prostitute or whatever, and then they would just put on their robes of a sannyasi. They would go out begging, and they would come back with their money. That was their occupation – to be a sadhu. So Narendra literally pulled him. While Prabhupada was in Bombay, it was in 1936, Srila Prabhupada wrote a letter to Srila Bhaktisiddhanta Saraswati, because at that time Srila Bhaktisiddhanta Saraswati was very ill. It appeared quite obvious to everyone that Krishna would soon call him back to the spiritual world. Srila Prabhupada wrote in his letter, “You have many disciples who are sanyasis and brahamcaris, who are just 24 hours a day with you and serving you. But I am a grishasta with so many other responsibilities. Please instruct me how can I serve you? It was just a couple weeks after that that the closing pastimes of Srila Bhaktisiddhanta Saraswati Thakur’s Lila took place. He was in the Bagh Bazaar Temple in Calcutta, and there his devotees from all around were having beautiful kirtan around him. On the morning of December 31st 1936, Srila Bhakti Siddhanta Saraswati asked one of his disciples Srila Bhakti Rakshak Sridhar Maharaj to sing for him the beautiful song of Narottam Das Thakur – ‘Sri Rupa Manjiri Pada’ – which is the eternal aspiration, the mood of the song is eternal aspiration of all true gaudiya vaisnavas. Then he asked another of his devotees to sing the beautiful ‘Siksastakam’ prayers. Then he told his devotees that they must serve one another, love one another, preach together, co-operate and he told them to divide the management under a authority called GBC (Governing Body Commission) of about 10-12 men who will help to develop preaching strategies for the world wide movement. The disappearance of this acarya is celebrated by us not only today but every day, by being the servant of the servant of the servant of the servants. Today we heard a beautiful class by Srila Prabhupada where he spoke on this day and he ended his lecture crying, weeping, thanking all of you for so kindly helping him assisting him in the mission that his guru maharaj has given. So we can never calculate how fortunate we are. Anyone who helps this wonderful movement of ISKCON, we should know Srila Prabhupada is weeping in gratefulness to each of you for so kindly assisting him in this wonderful mission of performing the great compassionate work of spreading the glories of the holy names – Hare Krsna Hare Krsna Krsna Krsna Hare Hare, Hare Rama Hare Rama Rama Rama Hare Hare.